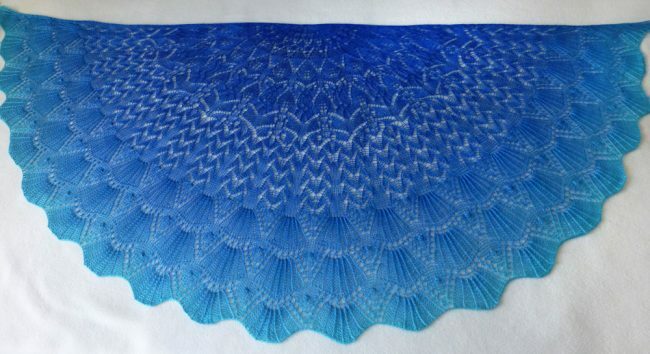 Monterey by the Sea shawl. 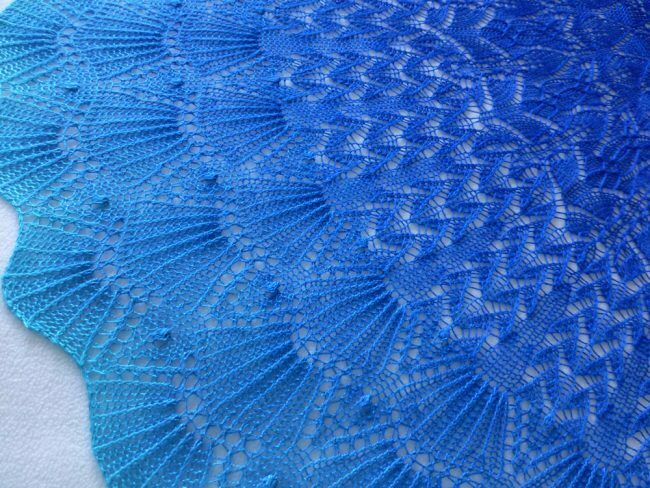 This Monterey by the Sea shawl is inspired by the small coastal town on the central California coast. It’s my favorite place in the world. I love the walk path that winds along the shore, where I can stop and visit with the ocean and its sea creatures, or eat at my favorite bistro on the pier and watch the sea otters, or shop in the many little touristy shops along its path. So much to do and see and yet there are places where you can go, and get away from everything. It’s perfect. I really enjoy knitting this bottom up, Mermaid’s Tale pattern from Kitman Figueroa. Once you get past the first few long rows, it really seems to speed by. Also it’s easier to photograph the WIP since it practically lays itself out as it gets smaller on the needles. The yarn is exceptional. 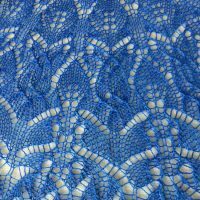 Vivid Fiber Arts yarn is truly the most exquisite yarn I’ve ever knit with. 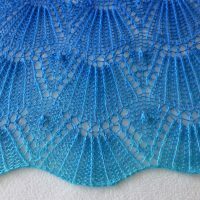 The colors, the gradient, the sheen… all contribute to a wonderful cake of gradient yarn. Color: Gradient blues to turquoise. Measures 64″ wide by 28″ long. 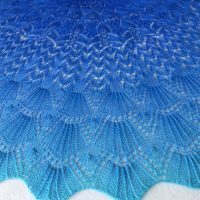 *Special thanks to Kitman Figueroa (Mermaid’s Tale Shawl) for creating such a lovely pattern.